Samsung advertise their mystery Galaxy 11 for the last 2 months. 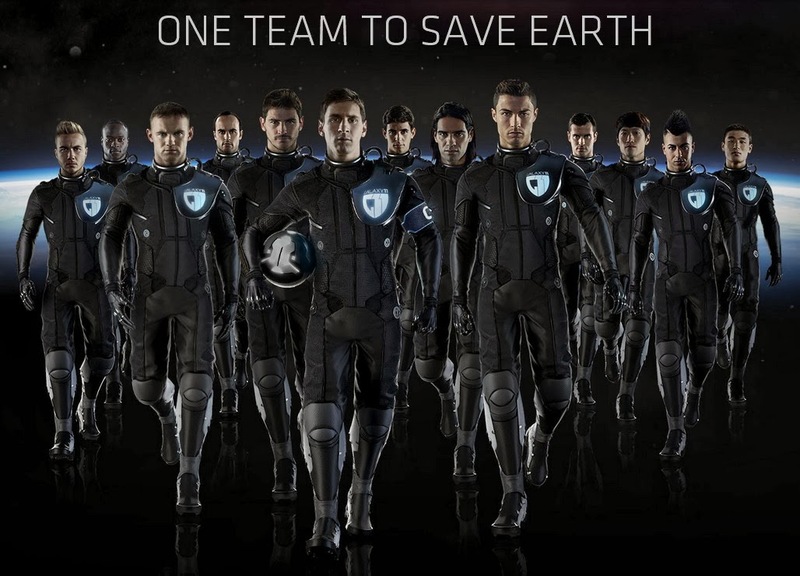 Almost a month ago we have known that Lionel Messi is selected as the captain of Galaxy 11 football team where Football (known as soccer in US) saves the planet from the aliens. Now after a month and announcing other players like Donovan, Kerzhakov, Rooney, Gotze, Oscar, El Shaarawy, Wu Lei, Moses, Falcao, Lee Chung and Casillas, Samsung announces the latest member of Galaxy 11 team. It none other than Messi’s main rival, Christiano Ronaldo. Obviously it sounds like every fan and manager’s dream, but it’s a luxury came true courtesy of the Samsung-assembled Galaxy 11 team. The Real Madrid star Cristiano Ronaldo was the final one signing the team who will be facing a squad of aliens in a football game where the Earth’s future is at stake. Good thing then that the coaching duties have been assigned to German legend Franz Beckenbauer, who has proven to know a thing or two about tactics. Naturally, all players will be counting on Samsung’s latest smartphones, phablets and the Galaxy Gear smartwatch to help them prepare. And all these definitely helping Samsung in various regions. Here’s the video announcing that Cristiano Ronaldo joins the Galaxy 11. And There goes the video announcing Argentine Lionel Messi as the galaxy 11 team captain.